A hotrod and lowbrow classic, we HAD to make a flying eyeball. 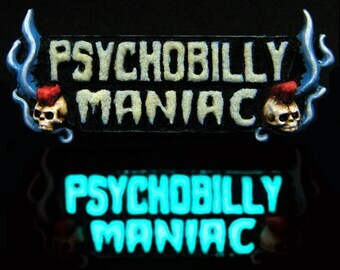 This cool badge has bat wings and a manic disposition, perfect for gearheads and lowbrow beatniks alike. 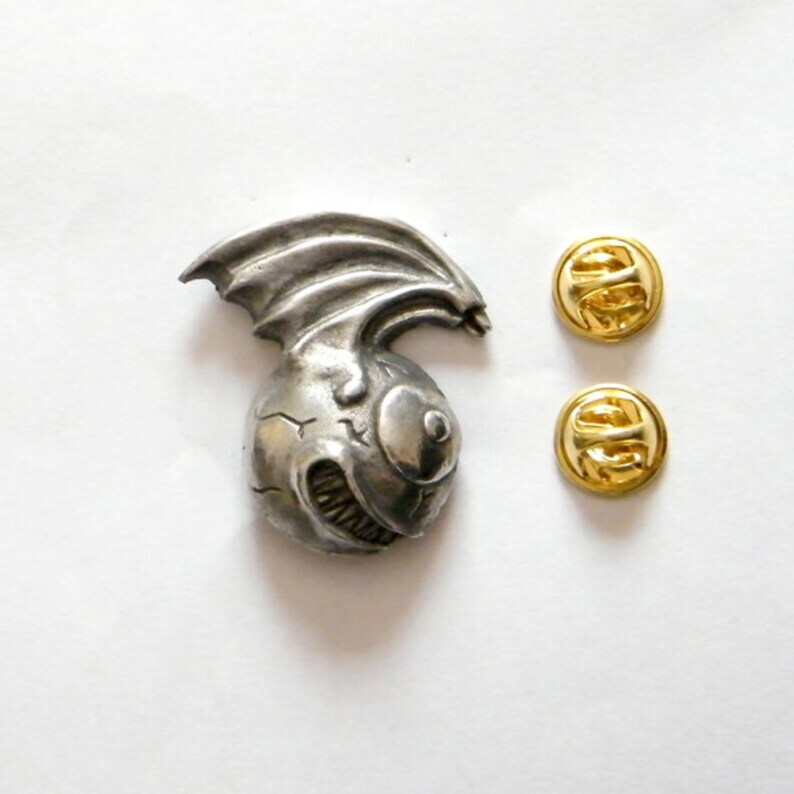 This badge has beautifully crisp sculptural detail and fastens with two pins with butterfly clasps on the back. All my jewellery is made from Fine English Pewter. All the designs are unique, I make the master sculpts, the molds and do my own casting, you won't find any of these anywhere else!